DVS90 is a fully customizable alarm system for your car. Additional accessories and mobile alerts further improve security. DVS90 is an intelligent security system that protects your car from theft, as well as from being stripped of components and valuables. The DVS90 system can be customized for most vehicles and models, independent of equipment level and age. Statistics show that car alarms have a significant preventative effect. 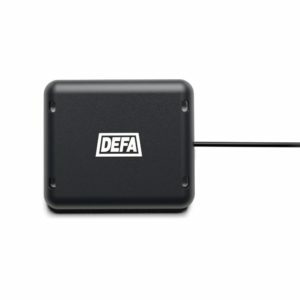 With more than 20 years of experience, DEFA remains a European market leader in the field. The central unit is the brain of the alarm system. It communicates with the cars electronic system and the various components of the alarm system. The Central unit can be customized for most vehicle types and models. A flashing blue LED light on the inside of the windshield warns potential intruders that your car is equipped with a DEFA alarm system. The unit also has a built in microphone that triggers the alarm if someone attempts to break the windows. The siren emits a loud, deterring sound when the alarm is triggered. 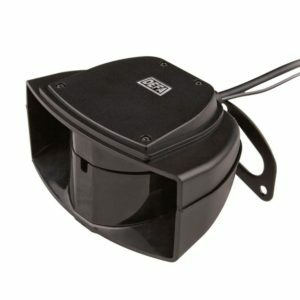 DVS90 can also be outfitted with an additional self-powered backup siren that sounds the alarm even if the power supply should be cut. Decals serve a preventative purpose by informing potential intruders that an alarm is installed. Thieves prefer cars without an alarm. Several accessories are available for DVS90. A motion sensor detects movement inside the car and provides an additional layer of security. A level sensor monitors the level/angle of your car and triggers the alarm if someone tries to lift your car or jack it up to steal your wheels, tires and rims. 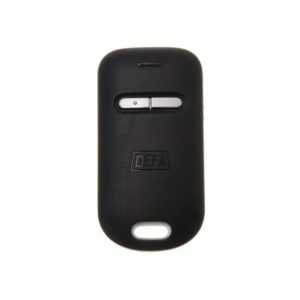 Second Authorization is an additional alarm remote that prevents advanced thieves from stealing your car by hijacking the signal from your keyless system or exploiting other weaknesses in the car’s original lock and security systems. The unit employs a rolling “anti-grabbing” code that impossible to hijack or copy. Recommended: Finder Link – alerts on your mobile phone! Finder Link is a subscription service that is available both as a separate service and in combination with DVS90. Finder Link sends you alerts if your car is started or moved. In addition you can locate your car on a map and forward the coordinates to the police and your insurance company. Read more about Finder Link here. 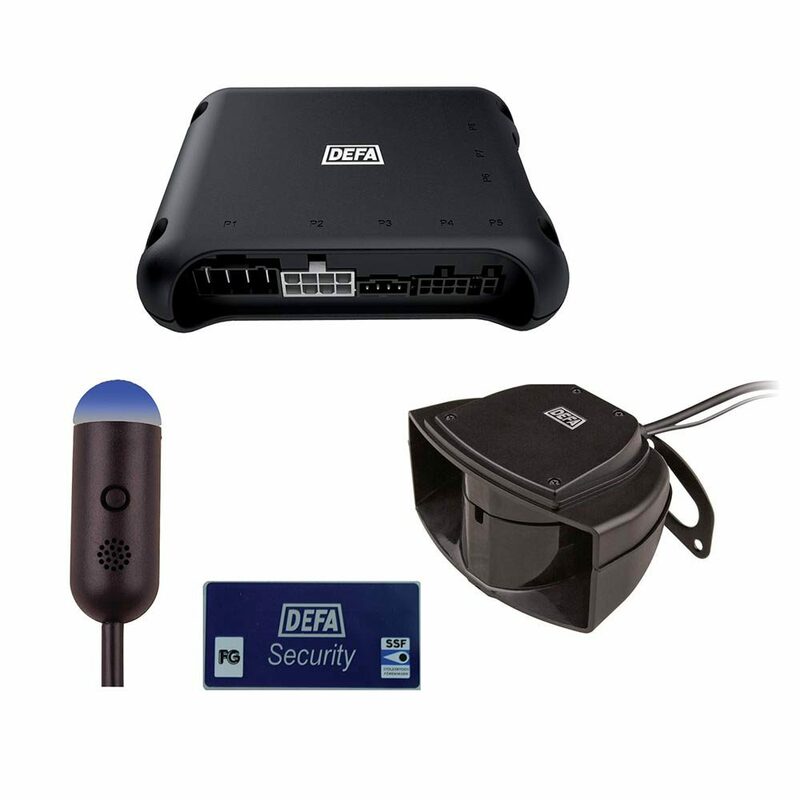 DEFA’s specialized software is designed for vehicles with integrated data systems. The installer downloads updated software and customizes the alarm depending on the make and model of your car. 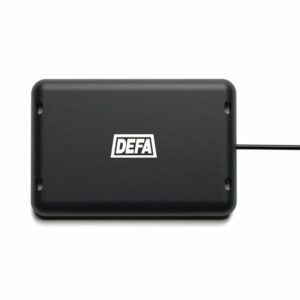 The installer also easily adjusts sensor sensitivity and layout of entry and exit points for connection of additional equipment with the DEFA Express program. DVS90 reads the signal from the vehicles integrated data system. This simplifies the installation and improves security. The wiring points sit together with the vehicle electronics’ main module. This, together with the vehicle specific assembly instructions, simple programming with the help of PC-tools, USB-communication and small alarm system components, result in a very simple assembly.